MAGS™ (Micro Auto Gasification System) is a Compact Waste to Energy Gasifications Systems, that is the ideal solution to replace incinerators, as it eliminates all combustable waste by converting it into Synthetic Gas that fuels the machine, creating an efficient and environmentally safe method of waste disposal and thermal energy contribution. 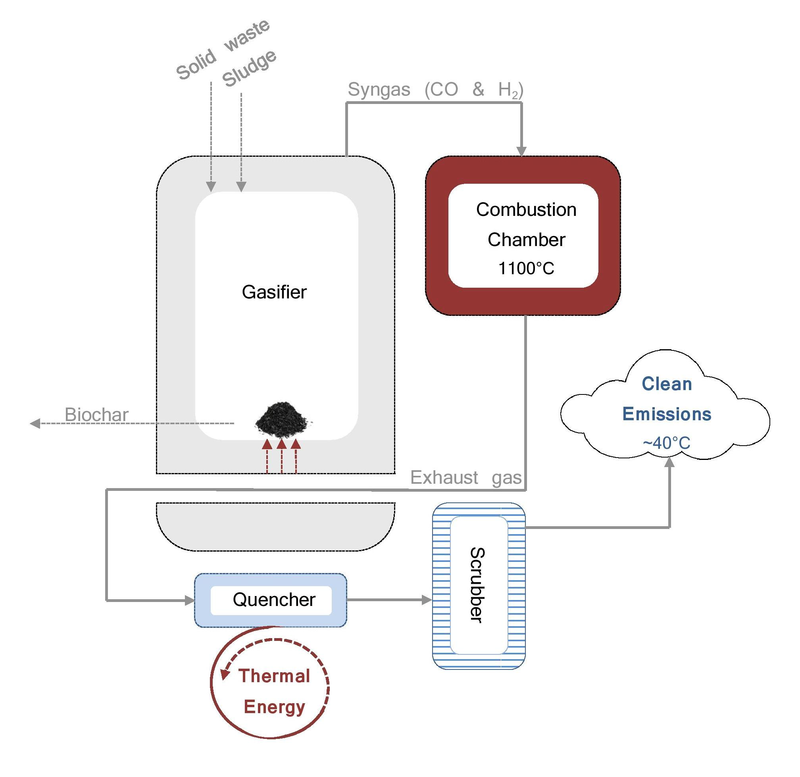 The Micro Auto Gasification System (MAGS™) can process up to one ton of waste a day, or 50kg/hr (110lbs/hr) where 95% is converted into thermal energy (120kW) and the remaining 5% into the valuable bio-char, which is a carbon sequester and soil addendum. This system eliminates the negative environmental impact of waste, avoiding land-filling and toxic incineration gasses.